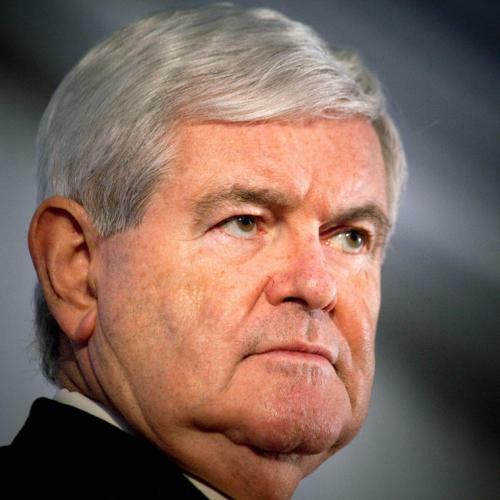 When Newt Gingrich proposed that poor children should be put to work—for a “three- or four-hour-a-day job,” he clarified this week—he was rightly accused of threatening national child-labor laws. But he was also displaying a curious lack of familiarity with his own political accomplishments. Truth to tell, there was a time when ghetto kids tended to see alarmingly few adults working a full-time job. It was never, as Gingrich suggested last Thursday, “nobody.” But Gingrich’s tempered phraseology this week about “relatively few people that go to work” does bear a relationship to reality. The problem is that it’s just not the reality of today. Starting in the mid-sixties, the welfare rights revolution did, in fact, turn poor neighborhoods into places where it was possible for mothers to live on welfare indefinitely. This also meant that fathers were not obliged to work steadily to support children. Growing up in such neighborhoods, one was exposed to full-time work as an option rather than as a necessity. The result was a crippling of work ethic, and multigenerational dependence on the government. Prior to the 1960s, despite the rule of racism, poor black neighborhoods didn’t have this problem. In Indianapolis in 1940, 9 in 10 black people worked. In Chicago in 1950, almost all black people worked. But then welfare became a commonplace instead of a last ditch safety net. Poor people were encouraged to sign up for welfare and it worked, as I have written about here and elsewhere. In Indianapolis in 1964, 12,171 people were on welfare. Just eight years later, that figure was 34,016, and four years after that, 42,208. By the nineties, the University of Chicago’s William Julius Wilson showed that only 16.5 percent—only 1 in 6—of poor black households in Chicago were two-parent families. Wilson showed how a Chicago neighborhood where almost all blacks had worked just a few decades before deteriorated into a condition where only a quarter were workers. Here, then, were neighborhoods where one could say that “relatively few” people went to work—these were areas where it was normal, if hardly universal, to be raised by and surrounded by people for whom going to work five days a week was not the normal situation. This kind of deterioration of work ethic is presumably what Gingrich had in mind. But he neglected to mention that this crisis is increasingly a historical matter. In 1996, Congress passed the Personal Responsibility and Work Reconciliation Act (PRWORA), which limited welfare payments to five years and required recipients to begin working after two years. This was how Clinton fulfilled his promise of ending “welfare as we know it,” and as it happens, Gingrich was key to making PRWORA a reality, even working one-on-one with Clinton in hammering out the details of its formulation and passage. As a result, welfare is now time-limited. This has had an immediate impact on black child poverty, and while its effects on the poor black community have varied from state to state, overall, welfare reform has restored work as a foundational element in the backdrop of inner-city lives. Charles Blow at the Times has already cited evidence to deny Gingrich’s claim that housing project denizens don’t work. Drawing on the research of Queens College’s Andrew Beveridge, he notes that most poor working-age adults in America do work today: 50% full-time. Blow didn’t have the space for a more, as he puts it, “granular” analysis, but if he had he would have found more useful examples of why Gingrich is off base. Today, in three housing projects in the Bronx, of 1701 working-age adults, 826 – about half – work. The fact that the other half do not is due not to a lack of work ethic, but is in large part to the state of the economy: almost half of them (about 400) have enrolled in an employment assistance program recently set up for residents of the building. Kids in these projects are hardly growing up watching no one, or even “relatively few,” people working. Another example is San Francisco’s gritty Bayview-Hunter’s Point neighborhood. In the housing project tract there, where over half of the population lives beneath the poverty line, in 2000 only about 1 in 5 people were not working. Again, an argument that kids there need to take day jobs to become acquainted with work simply doesn’t make sense. The adults around them are obviously working plenty hard. This is the new poor black America, ironically parallel to the pre-sixties one, where despite the obstacles of a bust-prone and in some ways discriminatory economy, most grown-ups work for a living. Poor black and brown kids don’t need to spend their late afternoons and weekends doing makework, because soon enough they will be adults doing real work just like the ones around them now. But in Gingrich’s imagined America, D’Angelo and Elena in the ‘hood should be made to push brooms and wipe down tables while Caitlin and Dylan out in the ‘burbs lay around playing Xbox. Perhaps there was a time when a tenuous case could be made for pushing for such a dream. The question is why Gingrich’s famous self-regard stops short of acknowledging that he had a hand in making sure that time is long past.